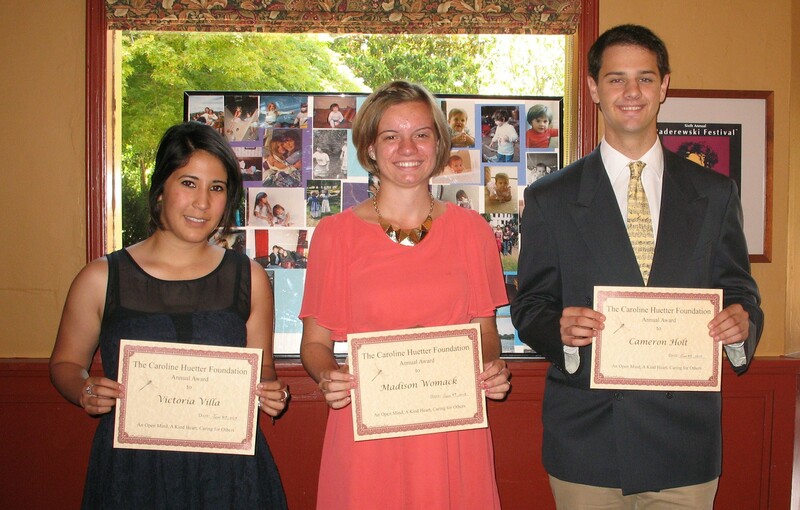 Each year The Caroline Huetter Foundation selects a Central Coast resident between the ages of 18 and 25 yrs old to receive a memorial award. In 2015 we expanded our criteria to include local non-profit organizations serving a need in the Central Coast. The award is based on a set of criteria established by the board and includes an overall positive attitude, generous spirit, unsolicited community service, and a desire to make the world a better place. Candidates must be living and serving within Monterey, San Luis Obispo, or Santa Barbara Counties, and must have conducted the service for which they are being nominated in the past 12 months. The annual award, given in cash without stipulation of use, will be up to $1,000. You can read about past recipients of the award. Candidates for the award may apply themselves or be nominated by others. If you would like to nominate someone, including yourself, either fill out the Nomination Form, or send them an Application Form. Accompanying Letters of Support or Recommendation are encouraged.